My wife gets co-credit on this cake, as it was a team effort, but this is Nicole's latest cake creation. This was for her aunt's birthday party. Looked fabulous and tasted delicious. You can't see it in this picture (as the cake is uncut) but we used homemade ganache in it for the first time. Yum! For a part-time hobby, she's pretty good at this stuff. 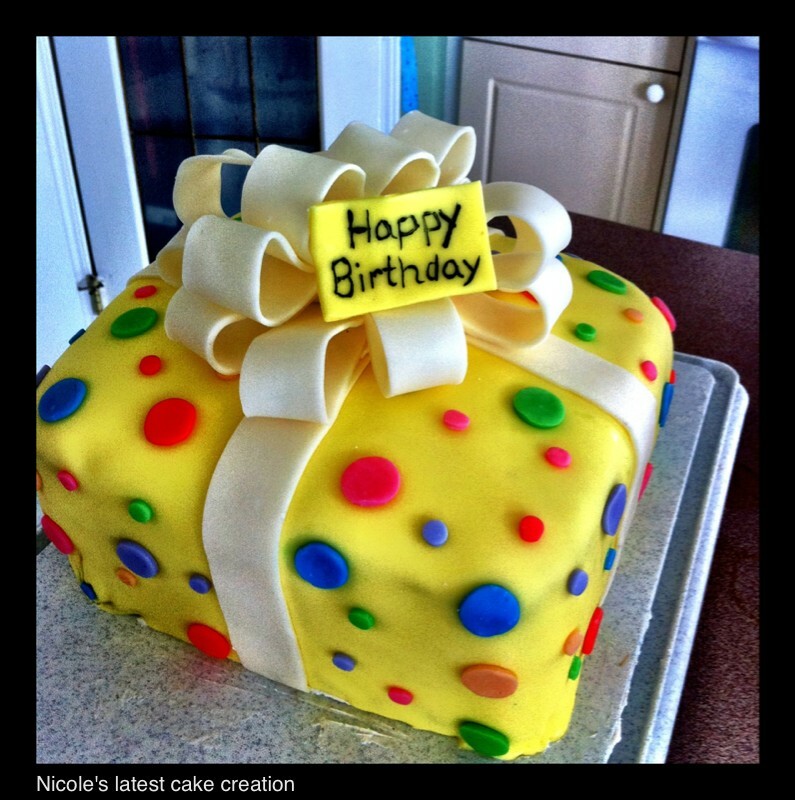 More of Nicole's cakes can be seen in the videos below.